Nithu's Kitchen : Tell us about you Sonal. Sonal : I also did my basic fashion designing course. Apart from that I can do little bit of painting and sketching. Nithu's Kitchen : How you got interest in cooking. Sonal : Actually, I started to cook only after my marraige. But I love trying different cuisines. I just freak on mumbai street foods, as born and brought up in mumbai so always miss those food! My Mom and MIL are wonderful cooks and may be that is the reason I even wanted to be good cook :-) Only after coming to Melbourne I learnt quite a few things in cooking and here I had a chance to improve my culinary skills. 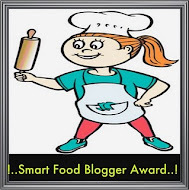 Nithu's Kitchen : Have you ever thought that you would be a food blogger? Sonal : Not actually. I didn't actually plan and it happened all of a sudden. Nithu's Kitchen : How do you enjoy blogging? Sonal : I am just loving the whole experience of it. It is much of fun. I'm excited to meet many new blogger friends.The encouragement given by my blogger friends gives me the enregy and enthusiasm to blog more. Nithu's Kitchen : Do you blog daily? Sonal : No, these days I am not able to blog daily as I'm tied to my daughter's routine activities. I have to take her to her kinder, swimming, kumon classes. But I make sure whenever I get time and whenever I make something I definitely blog abt it. Nithu's Kitchen : Great to know your daughter learns a lot at this little age. What do you want her to be in future. Sonal : I want her to learn many things. She should be a all rounder. Nithu's Kitchen : Which part of bloggin you think that you should improve? Sonal : I'm not a writer. I cannot express myself through writing. It had never been a cup of tea for me. But I really want my writing to be improved so I'm working on it. 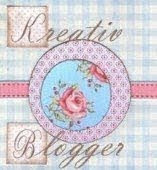 But still I love blogging and now I've become passionate about it. 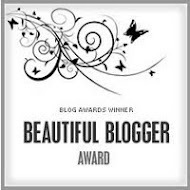 It has given me a gr8 confidence and also learning so much from other bloggers too. Sonal : I would like to share basil peas and ricotta cheese spaghetti. Nithu's Kitchen : Why you chose this to share today. Cook spaghetti as per the instructions given on pkt,last 2 mins before add the peas into the spaghetti ,drain and keep aside.Heat oil,add garlic,red chilli,pasta and peas.Add roughly torn basil leaves by your hand,add salt,pepper and lemon juice and toss well.Lastly crumble ricotta cheese over the pasta with your hands and serve hot. Nithu's Kitchen : Thank You so much Sonal. Sonal : Thanks a bunch Nithu for giving me such a wonderful oppurtunity to be your guest, it was so kind of you and I am truly honoured. Friends, hope you all loved Sonal's delicious spaghetti recipe. 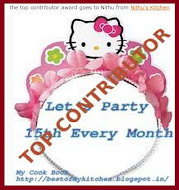 If you are interested to be featured as Nithu's Kitchen's guest, please mail to nithuskitchen[at]gmail[dot]com. Nice to know abt u Sonal! Thanks for sharing this recipe! Nice to know about you Sonal. Love this delicious spaghetti you shared,will definitely try. Nice knowing Sonal..Lovely recipe !! Nice to know about Sinal & great recipe too.. 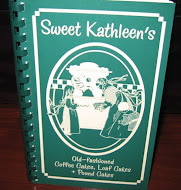 Very nice interview and a simple and delicious recipe. Thank you. It was nice reading about you Sonal and thanks for the recipe! Great to know more about Sonal, love her blog..beautiful dish indeed.. Recipe looks simple and delicious..